If you thought Sundays are boring, think again. At least not the coming Sundays at The Crazy Coqs Cabaret at Brasserie Zedel in Picadilly. 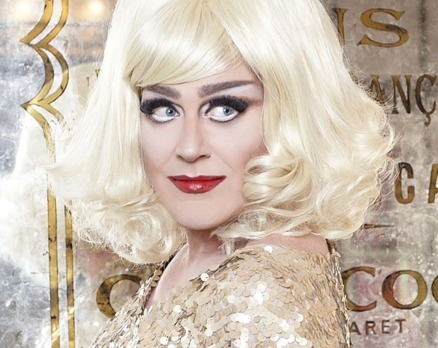 Dust off your sequins and get ready for an amazing evening of sparkling wit, fantastic music and a real cabaret decadence with Miss Hope Springs who will be performing on Sundays till 28th October. You can check all the info here. An impromptu evening with Miss Hope Springs has been very fun and memorable so be ready to be dazzled, left wanting more and infatuated with her wit, personality and glamour! I am tempted to write more and even post a photo of me and Miss Hope (me looking plain and Miss Hope looking uber-glamourous) but I don't want to spoil your fun and you have to see it all yourselves. Have fun!